Taiwan's HTC Corp. has accused Apple of patent infringement in the latest salvo in an ongoing legal battle between the smartphone giants. Taiwan's HTC Corp. accused Apple of patent infringement on Tuesday in the latest salvo in an ongoing legal battle between the smartphone giants. HTC, in a lawsuit filed in US District Court in the state of Delaware, accused Apple of violating three HTC-held patents in its Macintosh computers, iPods, iPhones, iPads and other products. HTC asked the court for damages and to bar Apple from importing into the United States any devices found to be infringing the patents, according to a copy of the lawsuit posted by technology blog TechCrunch. 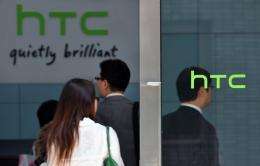 In a statement, HTC said it had also filed a complaint with the Washington-based US International Trade Commission (ITC). "We are taking this action against Apple to protect our intellectual property, our industry partners, and most importantly our customers that use HTC phones," HTC general counsel Grace Lei said. "This is the third case before the ITC in which Apple is infringing our intellectual property," Lei said. "Apple needs to stop its infringement of our patented inventions in its products." HTC said one of the patents concerns Wi-Fi capability that allows users to wirelessly network multiple devices. Patent lawsuits are a regular occurrence among technology giants and Apple has accused HTC and other smartphone makers using Google's Android mobile operating system of infringing on Apple-held patents. Google announced on Monday it was buying US smartphone manufacturer Motorola Mobility for $12.5 billion in cash, giving the Internet giant a strong patent portfolio to defend Android against its rivals. "Our acquisition of Motorola will increase competition by strengthening Google's patent portfolio, which will enable us to better protect Android from anti-competitive threats from Microsoft, Apple and other companies," Google chief executive Larry Page said. Motorola Mobility chief executive Sanjay Jha told financial analysts the US maker of smartphones and touchscreen tablet computers has over 17,000 issued patents and another 7,500 pending. What goes up, comes around. About time the governments start taking a look at dodgy apple and the dark force emperor. They seem to be getting away with stuff companies in the past got screwed for. Maybe things will change for the better once Steve Jobs cancer finishes him off. This patent mess really is getting unmanageable. We need to ditch the system and come up with something better that doesn't stifle humanities progress. No, I'm sure he already has a Jobs-ling ready to take over the company that's just as brainwashed as everyone else that thinks Apple's the shiznit from which all other PC technology only aspires to be.